The game industry has long been restricted to stationary consoles and PCs. In the advent of mobile technology, the industry was able to enter into a new market by creating games that could be played on smart phones and tablets. Sony is one of the largest companies in the game industry, and one that has a formidable presence in the mobile gaming space. Though the company has attributed a great deal of value to mobile gaming, it is unwilling to break away from its console roots, which may make the Playstation 4 much more interesting. Sony Vice President Hiroshi Sakamoto recently suggested that the Playstation 4 could launch as soon a May this year. Despite the possibility of a launch, there is still very little information available for the next generation console, apart from the fact that it is part of the “One Sony” initiative. One Sony is an internal campaign that aims to establish universal compatibility and connectivity between all Sony gaming devices, consoles or otherwise. 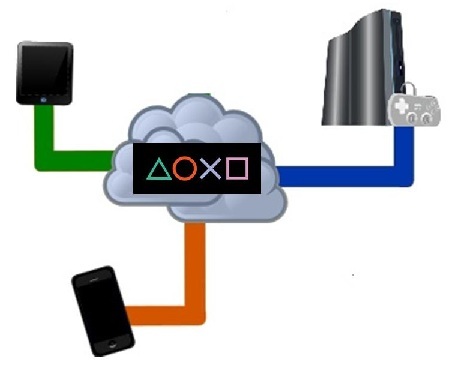 This idea can be seen in the connectivity between the Playstation 3 and the PS Vita. Sony notes that traditional consoles are likely to experience a great deal of competition with mobile gaming platforms. The growing popularity of mobile gaming, as well as the increasing capabilities of mobile technology, could threaten the position that consoles hold within the game industry one day. Sony is keen to avoid any significant impact from the continued success of mobile devices by making sure that future consoles will be able to synergize with these devices. Gamers tend to be a flexible, if somewhat fickle, bunch. Many people enjoy traditional consoles and are looking forward to what Sony has in store with the Playstation 4. These people also enjoy mobile games and Sony believes that combining the interest gamers have in console and mobile gaming will help the company beat out its competition in the upcoming console wars, wherein Microsoft, Sony, and Nintendo will be fighting for the adoration of gamers all over the world.